The new Birthday Calendar is independent of the year. Very decorativ and in a small and long format, you can put this calender in mostly every place. The months are designed with different horse motives. 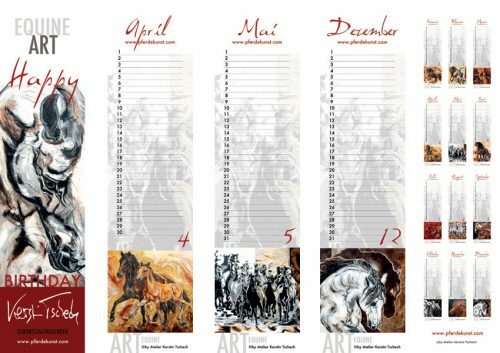 The art calendar is provided with a stable return cardboard. 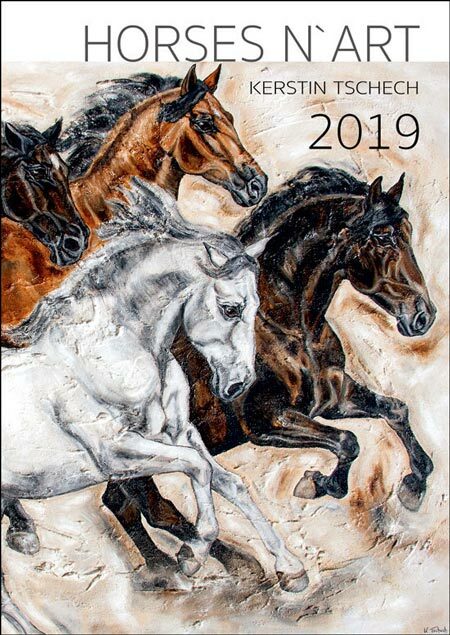 Categories: HORSE CALENDARS, HORSE BIRTHDAY CALENDAR.